They say the game of golf is like life, but don’t believe them. Golf is much more complicated. 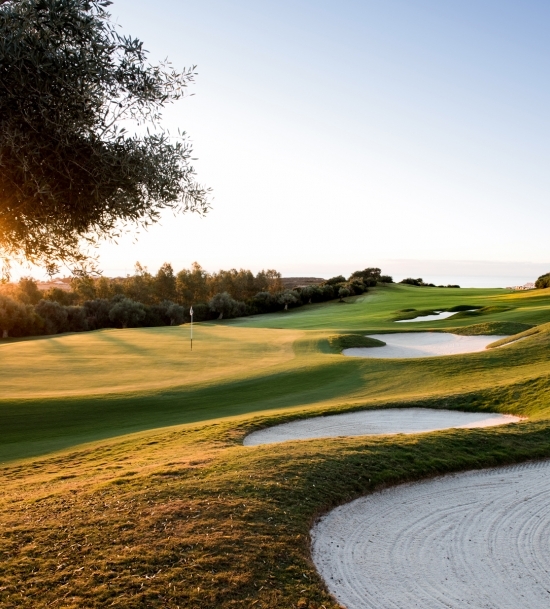 Welcome to the Nicklaus Academy at Finca Cortesin. 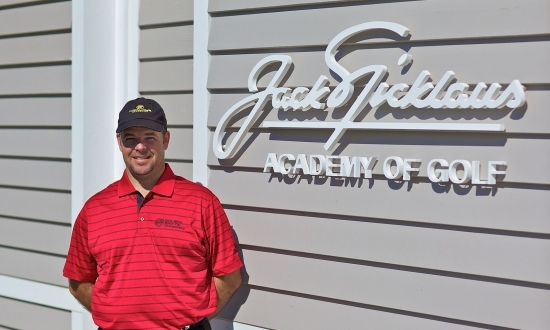 As the World-wide Director of Instruction for Nicklaus Academies, I am confident you will find your time at the Academy both enjoyable and beneficial to your golf game. Over the course of the past 25 years, we have continued to refine our comprehensive curriculum as we learn more about the human body and how it functions with the golf swing. We have also adapted our methods based on the many ongoing advancements in the equipment used to play the game. And we have incorporated all of the latest analysis and training technologies that help to speed up the learning process – regardless of your ability. At the core of our philosophy are the basic fundamentals that formed Mr. Nicklaus’ successful playing career that includes 18-Major Championships; how to properly deliver the club to the golf ball in such a way to start it down its intended target line, and then how to control the trajectory and distance the golf ball travels. Once we begin to improve your ability to apply the club face to the back of the ball properly and with consistency, this great game of golf will become more enjoyable – and isn’t that what we all strive for? I hope you enjoy your time at the Nicklaus Academy. Our Director of Instruction at Finca Cortesin, Ricardo Jimenez Eliaeson, is one of our best and most successful instructors within our global system of Academies. 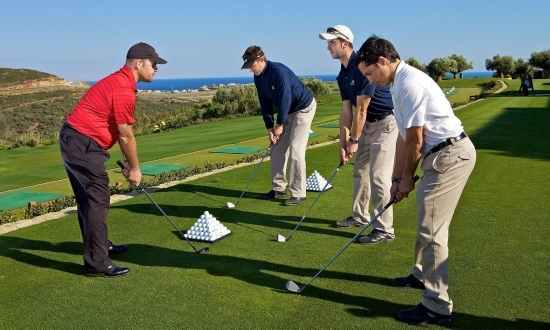 You are in excellent hands whether with Ricardo or one of the other qualified instructors at Finca Cortesin. And always remember, golf is ‘a game’ – and enjoy it as such. • Master and Player Member of the Spanish PGA. 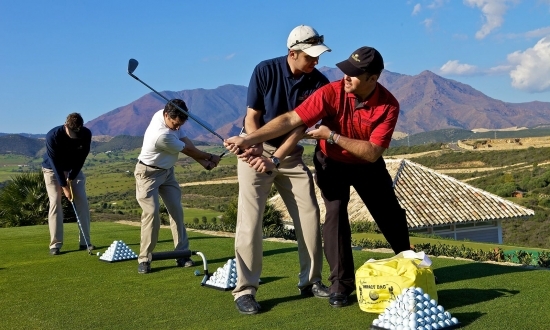 • Certified Director of Instruction of Nicklaus Academy Finca Cortesin. 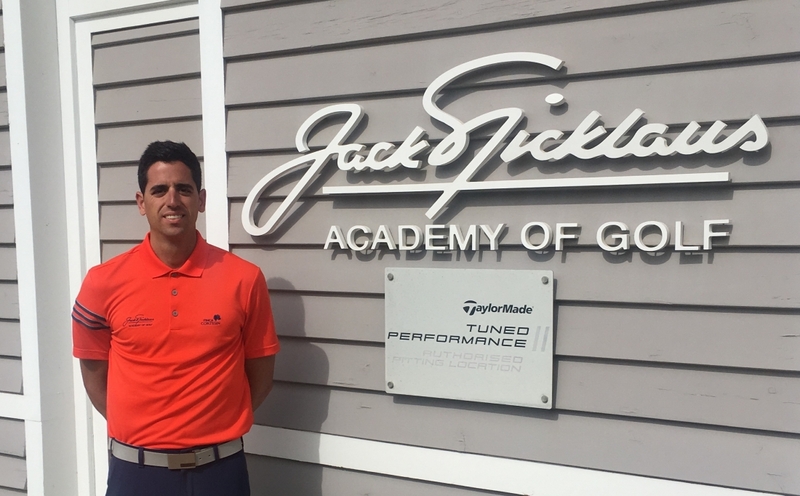 Ricardo's experience extends to coaching pros and beginners alike. Results are achieved when the communication between the Instructor and the student is fluid and constant; that why he takes care when communicating information. He speaks Spanish, English and Swedish. Ruben transmits his message to students in a simple and straightforward manner. With 9 years of teaching experience at Finca Cortesin and 12 years as a professional player, he understands the importance of a good game plan and strategy to improve scores on the course. He is very patient with both beginners and children, putting them at ease right from the very start. He also speaks Spanish and English. Knowing that we all learn in different ways (auditory, visually and kinetically), our Jack Nicklaus Coaching Studio is designed to help us to provide you an immediately feedback, that will help you learn more quickly and gain a more in-depth knowledge and greater feel for your golf swing. The use of integrated technology in the Jack Nicklaus Coaching Studio will allow to make greater improvements and most important, and most importantly, to help you understand the causes and effects within your game, as well as your swing faults. Automated system of 3 high-speed digital cameras that clearly show the clubface before, during and after impact, which is one of our key components in our philosophy of controlling the flight of the ball. This radar-based device allows us to validate the data relating to club head speed, ball speed, launch angle, spin rate, carry distance, total distance and dispersion. In our Private Instruction, every student, from beginners to profesionales can choose the parts of the game they want to work on. With the help of the integrated technology in our Jack Nicklaus Coaching Studio, we will help them to improve their game and their scores. First, the student´s swing will be analysed, then we will propose corrections, multiple drills and training aids to improve weaknesses. We will send the student´s their video by email. The students´s level will determine the use of the technology integrated in our Coaching. All the hard work you make around improving your game must be reflected in the way you play on the Course. If you are like all the golf players in the history, you will find that bringing your game to the Course does not happen as often as you would like to. Golf is a sport were you never practice in the field you play your tournaments so, how will you be able to learn to score? Our 120 min Playing Lesson are design to help you bring your best game to the Course. Nicklaus Academies at Finca Cortesin offers you the opportunity to celebrate a sport event for your clients or employees through clinics that are customised and adapted to your needs. You just tell us the number of hours, the level of the players, the date, and your objectives and we will offer you a clinic according to your needs. •Long and short game exhibition from the Instructors. •Strategy, routine and mental preparation on the course. •Basics of the short game and long game for beginners and advanced players. •Chipping, Pitching, Bunker or Putting min-tournaments.